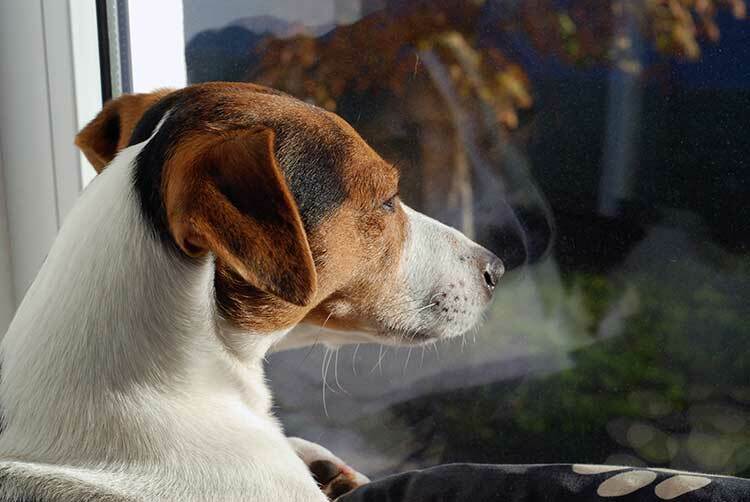 What Does Your Dog Think About When You’re Gone? Ever wonder what goes through our furry buddy’s brain whenever they’re left alone to their own devices? Worry not, using data based on scientific research and a little bit of imagination, we’ve come up with an almost accurate dialogue of our dogs’ thought processes when we’re gone. Here’s what they think about the minute to four hours after you step out of the house. Studies done at the Anthrozoology Institute at Bristol University have shown that dogs are very prone to levels of separation anxiety attacks similarly close to trauma experienced by children abandoned by their parents. These may manifest itself through your dog treading around in circles or as nuisance barking and whining. Leaving your dog’s favorite toys around can help alleviate some of your dog’s boredom and anxiety. This could also help in keeping your dog from destroying your furniture while you’re gone. Having another dog around may or may not be a good thing. On the one hand, they could be great companions and serve as playmates for each other. On the other, compatibility between dogs can sometimes fall short. Humans and dogs perceive the passage of time differently. Humans have “episodic memory” where we attach significance to past and future events. In turn, we can remember or foresee events even if they’re not happening presently. Dogs (and most animals) lack this higher mental function and are more “stuck in the now”. They are, however, able to process time through internal clocks and “circadian oscillators” – cues from the body telling them when to eat, sleep, or procreate. Around this time, your dog will be pretty restless or hungry. Recent studies conducted at Emory University scanned the brains of dogs and their neural responses to the smell of people and dogs, both known and unknown. The results showed that of all the scents a dog can smell, the dog owner’s scent sparks the most activation in the dog’s caudate nucleus or “reward center.” This, in turn, proves that dogs prioritize their owner’s smell over everything else. Whether or not our dogs go through a whole drama series in their heads when we leave them is entirely a non-issue. What’s really important is that their daily needs are met without compromise in order to minimize any anxieties on their part. If you feel like you’ll be missing a few hours or a few days of doggy care, just give us a ring at Pet Nanny and we’ll gladly handle all your pet-care worries for you. What’s more, you don’t have to worry about dropping off or picking up your dogs – we come to you! A typical Pet Nanny visit runs 20 minutes and includes potty time, walk, play time, treat, water refresh, and a note for you. On top of that, we personalize our routines depending on yours and your dog’s needs! Get in touch with us at 734-981-6108 or you can use our online contact form and we will be in touch shortly.